Last week I asked you if you’d rather stay in or go out, and I mentioned how I don’t often get out without the boys these days. 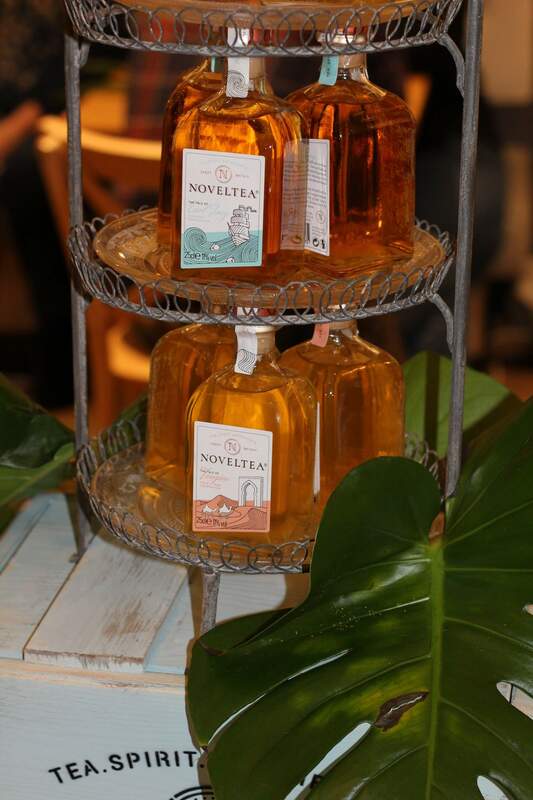 And then, what should happen, but an invitation to the launch of the new beverage NOVELTEA pinged into my inbox. Hurrah! So I got a trip out without the children, and tasted a new alcoholic drink while I was there. 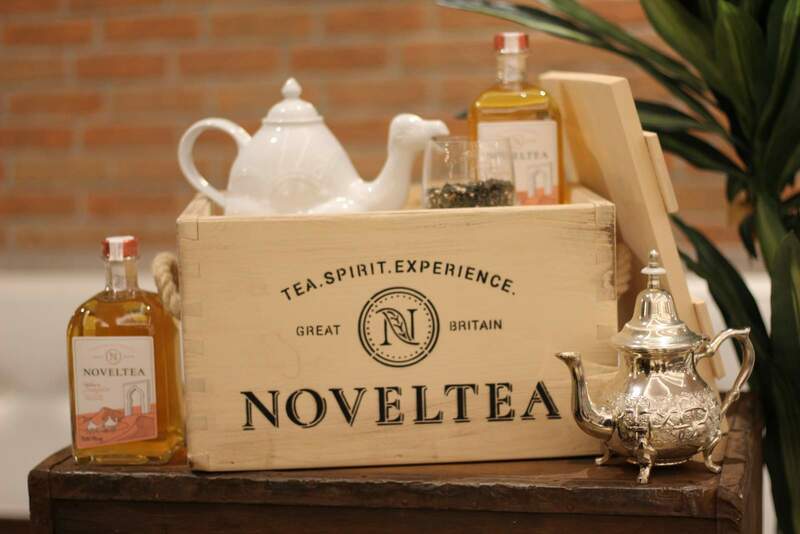 Yes, you read that correctly – NOVELTEA is a new alcoholic drink – tea, to be precise. 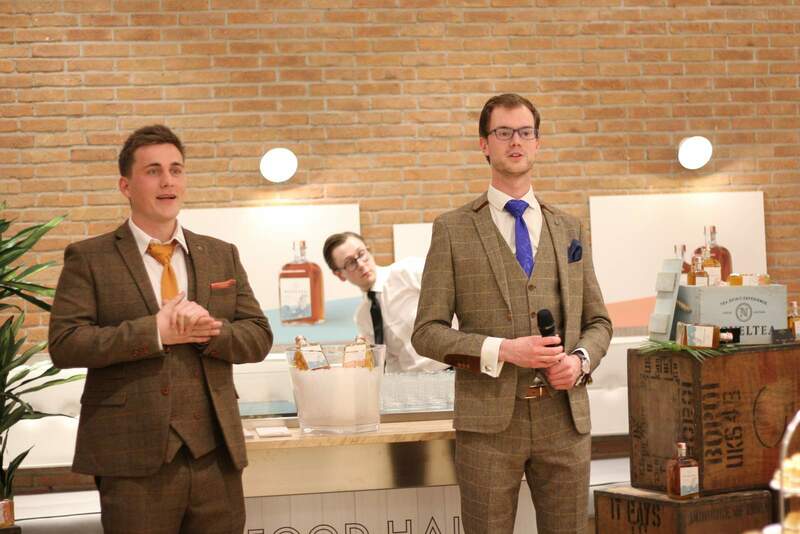 With their own spin on tradition, NOVELTEA founders and former Newcastle University Business School students, Vincent Efferoth and Lukas Passia have developed an innovative new alcoholic drink of cold-brewed tea infused with a matching spirit of either gin or rum; ideal for enjoying with afternoon tea or as a gin and tonic replacement in the early evenings. 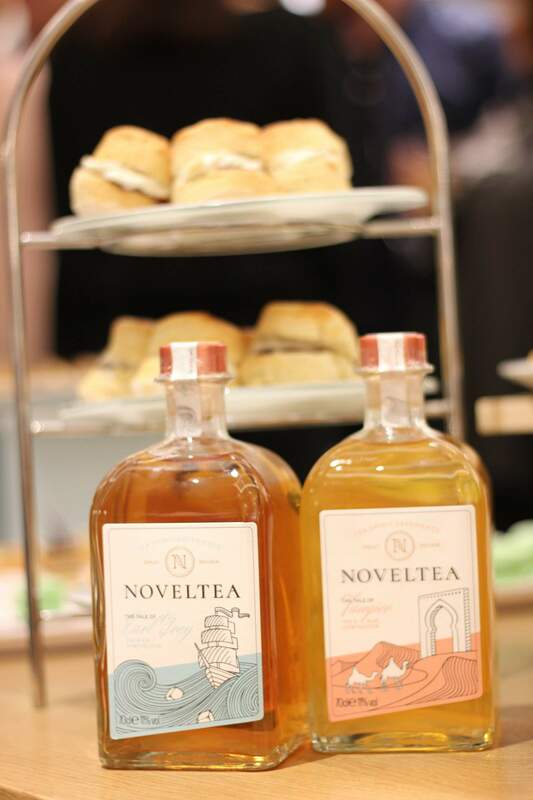 There are two flavours – the Tale of Tangiers and the Tale of Earl Grey. Tangiers is a sweet, green tea, with hints of mint and lemongrass, infused with rum. The Earl Grey is, as you might expect, Earl Grey tea infused with gin for a slightly drier drink. Both are 11% abv. and come in either a 2-serving bottle (250ml) or a 5-serving bottle (70cl), retailing at £9.99 and £24.99 respectively. Which one was my favourite? I think it depends on the situation. On a hot day I think the Tale of Tangiers would go down a treat, especially as a spritzer. Outside on the patio with a glass of that in your hand, you’d be transported to the heat of Morocco. As an after-dinner drink, I think the Tale of Earl Grey would win, especially if it washed down a delicious afternoon tea. I think I’d like to see a Tale of Japan next, with jasmine tea and maybe gin, or another floral, gentle drink. Get paid to eat with Gousto and Topcashback!